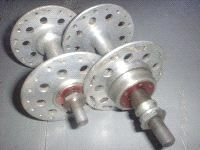 Decorative/lightening holes in the hub flanges were introduced in the 1960s. Maxi-Car always drilled their holes centered between every other pair of spoke holes, so the number of flange holes in a particular hub varies with the spoke drillings - 9 holes in a 36 hole hubs' flange, 10 in a 40 hole, etc. 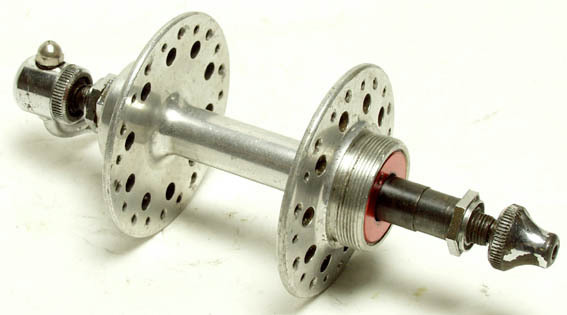 This drilling became standard on all except tandem hubs and custom orders.